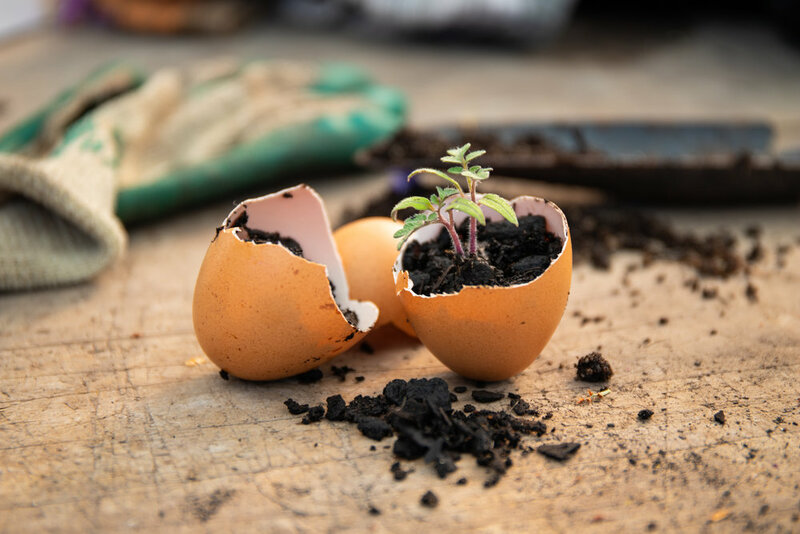 Eggshells can be turned into mini pots perfect for growing seedlings. They are easy to make and also friendly for the environment. Once your plants start to outgrow the eggshell, you can simply plant directly into the garden or a larger planter. Make sure you break the shell when planting, this lets the roots grow and expand into the new soil. The calcium and nutrients from the shell acts as a natural fertiliser helping your seedlings to flourish. We recommend using a organic seed raising mix for the best results. Extra tip If you boil eggs you can reuse the water to water your seedlings or any other plants, as the water acts as a great natural fertiliser.